Today, an agreement was signed about deliveries of quality European bison individuals for releases in the wild, between Rewilding Europe and the Avesta Visentpark (Avesta Bison Park) in Sweden, one of Europe’s oldest and finest breeding stations for this endangered wildlife species. This symbolically coincides with Rewilding Europe publishing its new “Bison Rewilding Plan 2014-2024”. European bison in the Avesta Visentpark, Sweden. The Wisent, or European bison, is one of the most charismatic symbols for the wildlife comeback in Europe. It is still threatened and listed as vulnerable in the IUCN Red List. 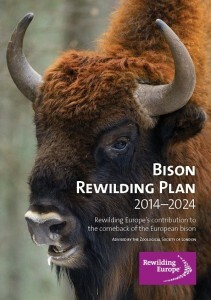 The ‘’Bison Rewilding Plan 2014-2024’’ has the ambition to help establish several long-term viable populations of this unique animal in a number of European countries during the coming ten years. – “Avesta Municipality is proud to be able to help rewild the Wisent back to its original habitats”, says Anders Friberg, Chief Director at the Avesta Municipality. Through taking part in Rewilding Europe’s work in the Carpathians and other locations, Avesta assumes its continued responsibility for the future of the European bison, an important part of our history and brand. It was helped here to be saved from extinction in the 1920’s by Axel Ax:son Johnson, who founded the Avesta Bison Park. – “Today you might see a bison in Avesta, but already next week that same bison may be walking around in a wilderness area in the Carpathians. We are really happy to continue providing the animals needed for such reintroductions”, says Mikael Jansson, Manager of the Avesta Bison Park. In May 2014, Rewilding Europe brought 17 European bison to the Tarcu Mountains in Romania, in partnership with WWF-Romania. Six of these animals came from Avesta. That first herd will be released into the wild and a second herd of bison – again including animals from Avesta – will be transported to the area during spring 2015. – “We are very pleased that Avesta has offered us to regularly provide bison for the establishing and reinforcement of wild populations in Europe. We already know the good quality of the Avesta animals, from our cooperation around the bison release in the Southern Carpathians earlier this year’’, says Frans Schepers, Managing Director of Rewilding Europe. ”In the Bison Rewilding Plan 2014-2024, that we officially launched in Sweden today, we have outlined Rewilding Europe’s contribution to the conservation and comeback of this wonderful species. We will work closely with a variety of organisations and bison breeders across Europe to establish new, as well as support existing populations of the species in different parts of our continent”. In the Bison Rewilding Plan, Rewilding Europe sets the ambition to establish at least five new herds, each of more than 100 individuals, in up to five selected areas in Europe, including at least one meta-population of at least 500 individuals in the Southern Carpathians by 2025 and to increase the European bison population living in the wild from 2,371 animals (2013) to more than 3,500 in 2018 and over 5,000 in 2022. – “This will help lead the bison out from the risk of extinction”, says Wouter Helmer, Rewilding Director at Rewilding Europe. “The European bison is a strong symbol for the promotion of a wider ecological restoration of European landscapes. Bison-related tourism will provide opportunities for new economic development in our rewilding areas, with local businesses and people actively involved”. Rewilding Europe will apply the “IUCN Guidelines for Reintroductions and Other Conservation Translocations” (2012) for all bison reintroductions and population reinforcements. The Bison Rewilding Plan is fully in line with the IUCN Species Action Plan and it is in fact Rewilding Europe’s contribution to it. Advice on the selection of animals comes from the European Bison Conservation Centre (EBCC) and our recently signed memorandum with the Center ensures the genetic viability of the herds and the opportunity to establish viable herds in all areas where Rewilding Europe is working. 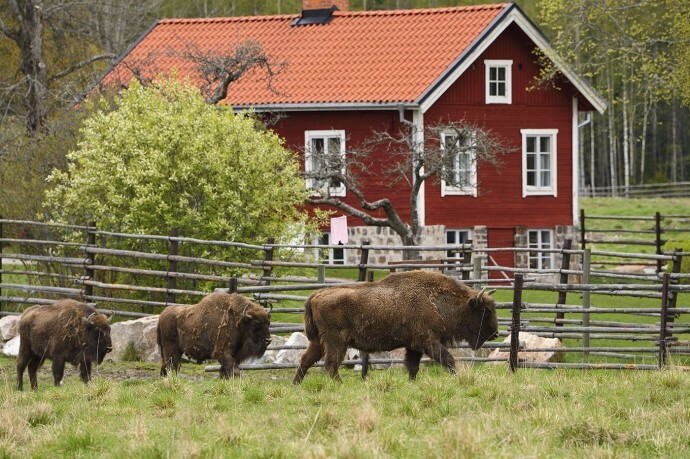 The “Bison Rewilding Plan 2014-2024” was made possible through financial support from the Swedish Postcode Lottery. It was developed in cooperation with the Zoological Society of London. The Plan will be reviewed and updated after five years (in 2019) to include lessons learnt from the first period of work. You can be an active part yourself in supporting the European bison to come back, by helping to fund the next five bison to be rewilded. Check out this Super X-mas gift to anyone with an interest in nature and wildlife. And maybe put it on your own wish list too? Why not give a hairy beast to someone who understands to enjoy it? Click here to contribute your bison!